Sunday, 26 August 2018, 8:20a.m. 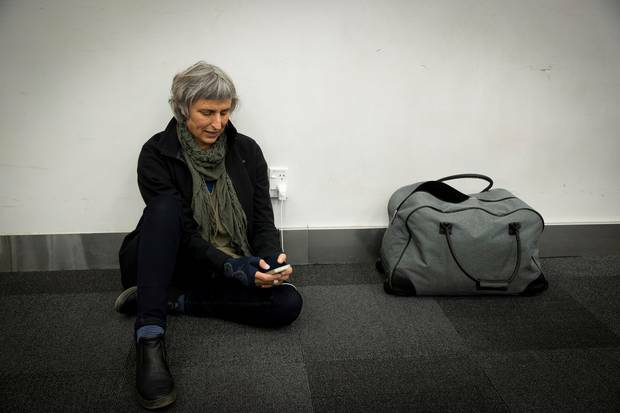 There's always a queue for the ladies' loos, and Susan Lamont has to sit on the floor to charge her phone because it's the only place she can find a plug at Auckland Airport's domestic terminal. But self check-in kiosks and a bag drop off have been added closer to the gates used for Air New Zealand regional travellers like Lamont, so when the yoga teacher arrives at the airport it's easier to get to her plane on time. 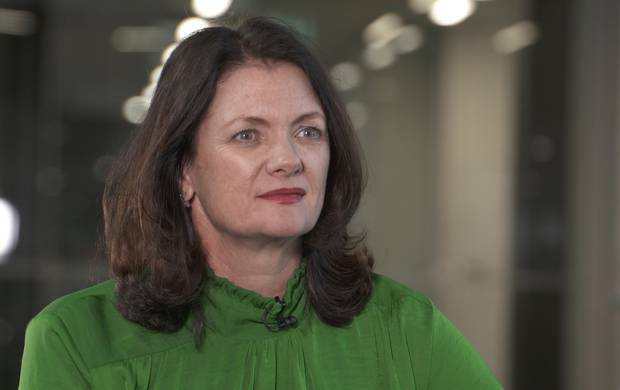 Three months before Lamont spoke to the Herald as she waited in a packed terminal for NZ5071 to take her home to Nelson, broadcaster Mike Hosking described the air gateway to our biggest city as the "aviation version of a long drop". Our flagship airport had been under construction or refurbishment for years, was slow, understaffed and under resourced, and a hopelessly amateurish way to arrive in the country, Hosking wrote. But for Lamont, this giant of infrastructure and all the interlocking cogs that helped it move 20.5 million passengers in the 2017/18 financial year was less disaster zone and more work in progress where some stuff works really well and some doesn't. Just get on with that work in progress please, so everyone can enjoy the benefits of Auckland Airport's planned multi-billion-dollar renewal. "I'm almost always down this regional end [of the airport] and definitely things like the lack of charging points is a pain. I also find there's always congestion in the ladies' bathrooms. "It feels like they haven't got around to upgrading this end of the airport." 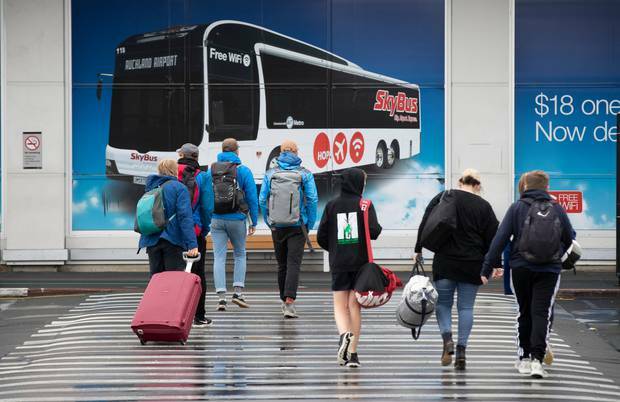 Auckland Airport is three years into a 30-year development plan to create the "Airport of the Future", eventually including a new domestic terminal joined to the expanded international terminal and plans for a second runway north of the existing one. Spending of $2 billion is already earmarked for multiple projects over 20 years, some of which can already be seen, such as gate extensions and remodelling of the departures area. Airport general manager of operations Anna Cassels-Brown said incredible growth — total passenger numbers are up by 7m since 2008, 3m of those in the last two years — came before it could be catered for. The international terminal is 41 years old, domestic a decade older. "We're the first to acknowledge we've got some old pieces of terminals, and the domestic terminal in particular. The dear old girl, pieces of her have been doing duty since the airport opened in 1950-whatever it was ... and that original piece was a cargo shed." Future proofing — in 2014 the 2044 projection was 40m passengers a year, now expected to be higher — added to the challenge. Over the next 18 months to two years though improvements to the domestic terminal were on the way — more and better bathrooms and the introduction of device charging stations, Cassels-Brown said. No more queuing or sitting on the floor for Lamont. 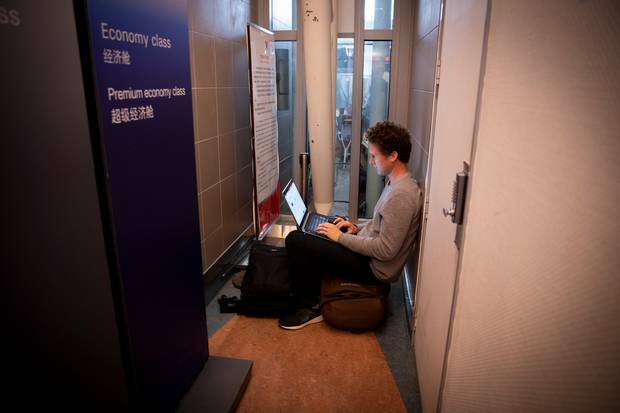 Power stations are also planned for pre-security departures' areas of the international terminal, where the Herald spotted Nelson business owner Myles Montgomery sitting in a narrow space between two walls so he could charge his laptop. 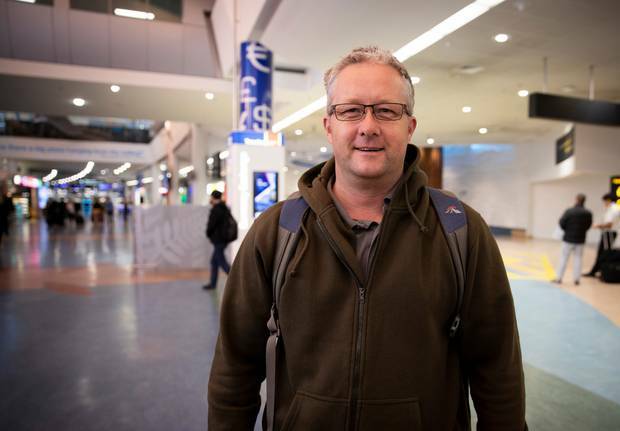 "I've been to lots of the hub [airports] and they just cater for these things, so you can work." Cassels-Brown knows people are frustrated. Each year half a million push the emoji machine buttons sprinkled through the airport to tell Cassels-Brown what works, and what doesn't. "Some things it won't be in our power to fix until we can deliver a brand new terminal ... [but] if it's in our power to fix it, we will." By the nature of their role, airports are places of high emotion. Frustration and sadness stalk departures as much as joy does arrivals. Domestic or international, most travellers just want a straightforward journey — in, through, out. When it works, we don't hear about it. When it doesn't, we hear all about it. In the international terminal, Manurewa mum-of-two Reema Rashika is waiting for her brother, just landed from Fiji. The arrivals hall is all of the airport Rashika will see for a while, even though she previously travelled frequently. With two small children, her most recent experience was just too stressful. The baby room and cafeteria at departures are great, and security and passport control swift and pleasant, she said. "They're not rude — they smile. Some places don't do that." But the walk to the gate — now up to 1.7km from international processing after the addition this year of $120m International Pier B — was exhausting hauling carry-on luggage and an 8kg baby, too small for the kind of stroller allowed as carry-on, and encouraging a weary 6-year-old. "She was so tired and we had to stop for her ... I'm going to hold off for one or two years." Tauranga car sales' manager Sean Clark is home from Vietnam and described the journey through customs as "seamless". The only thing on his airport wishlist was the addition of pay showers. That's something in Auckland Airport's power. So much isn't. Late arriving aircraft, security incidents — these can start a domino effect that comes back on the airport company, even though they're out of its control, Cassels-Brown said. But for most people the airport experience was a good one. "It takes 15,000 people to run that airport, so it's an incredible dance of many interconnected pieces and for 19,550,000 people it's a beautiful performance. For a percentage of our customers it doesn't work." And for others, the airport's growing pains are barely noticeable. 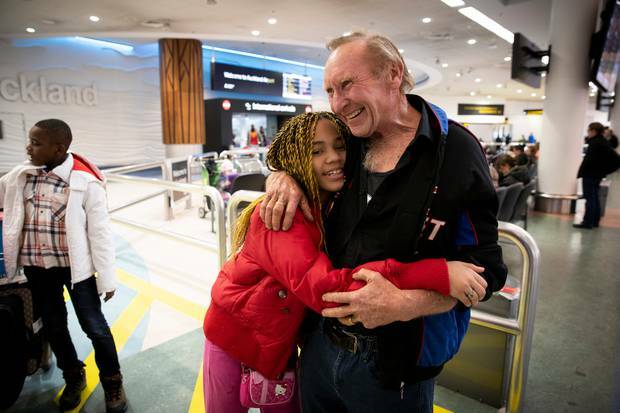 Ask Tokoroa man Mike Carruthers, greeting his wife Alphonsina Moktari and stepchildren, 10-year-old Saadia and 12-year-old Androu, after 18 months apart. The airport was noisy and busy, and outside it was a dreary winter's day, but Moktari couldn't stop laughing and the kids couldn't stop hugging the man they call dad. Inadequate loos, crowded waiting areas and the lack of power charging stations weren't on Carruthers' mind. All he wanted was a door that opened into the arrivals hall. "The door worked and my family came through. I'm so happy."